The growing use of natural gas (methane) from a variety of sources in HGVs over the past 25 years has been of significant benefit to the environment. At Euro5, the gas powered HGV offered a much better greenhouse gas (GHG) performance at vehicle level than the diesel equivalent in addition to the benefit of significantly simpler technology. Air quality (AQ) performance was also better. Scania, one of the supporters of the report, produces a dedicated OEM gas engine which is installed in the Scania ADL Enviro 400CBG Euro6 gas double-decker. 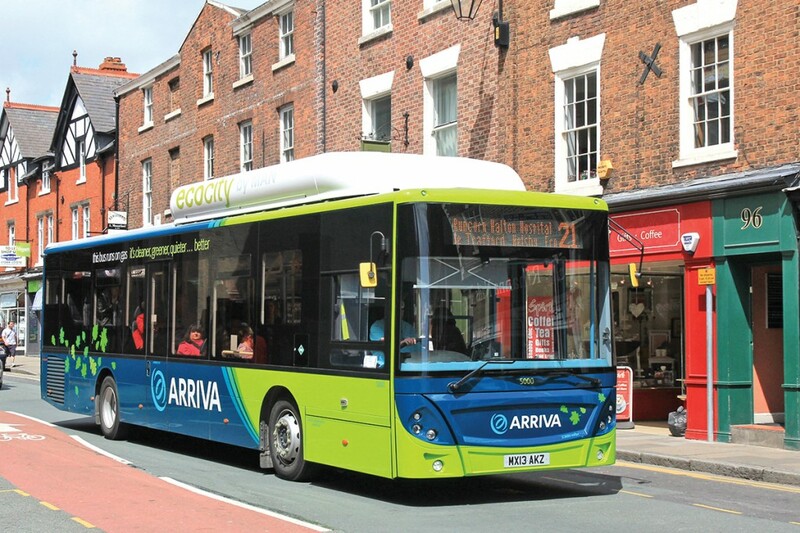 Whilst still accepting that such gas powered vehicles deliver benefits, this latest report from LowCVP on behalf of the Department of Transport suggests that the step change in diesel performance at Euro6 has at least significantly narrowed the gap in AQ and GHG performance at vehicle level and, where converted dual fuel engined vehicles are considered, potentially reversed it in terms of GHG performance at vehicle level. A key factor impacting on the latter is the effect of Methane Slip, the pass through of unburnt methane, itself a GHG. The report also makes limited reference to the potential impact of Nitrous Oxide (N2O), a GHG with over ten times the potency of Methane, from the use of SCR in Euro6 diesels. Before looking at the results in more detail, it should be noted that there is still significant benefit from the use of natural gas to power PCVs. 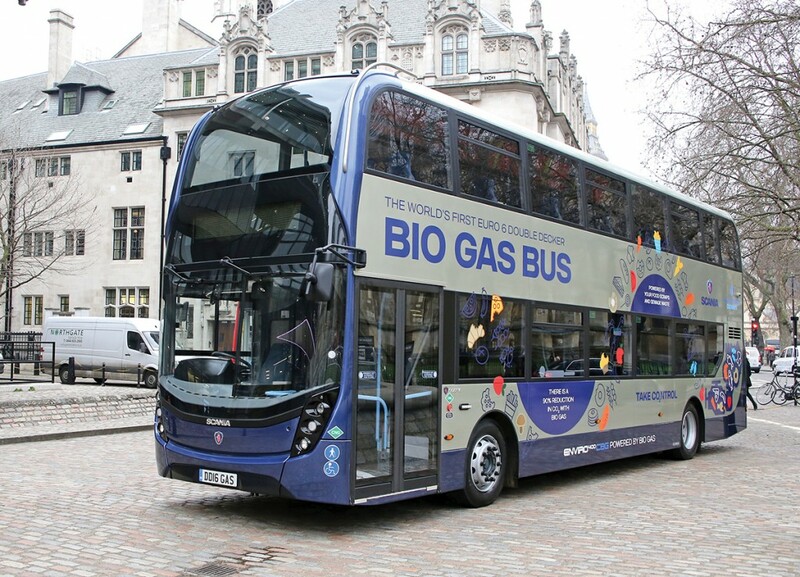 The technology remains simpler, there is no marketing of dual fuel engines for PCVs, air pollution impacts are lower still and, most importantly, the preferred fuel is biomethane produced from waste, which renders the source to exhaust cycle almost carbon neutral overall. The latest report builds on work initially undertaken through the DfT’s Low Carbon Truck Trial (LCTT) that primarily looked at GHG emissions at Euro5 using test methodologies developed by Ricardo-AEA in 2015. The test methodologies have now been applied to four OEM gas powered Euro6 vehicles from 7tonnes to 40tonnes and examples of dual fuel converted 44t vehicles at Euro5 (gas/diesel) and Euro6 (gas/diesel and LPG/diesel). 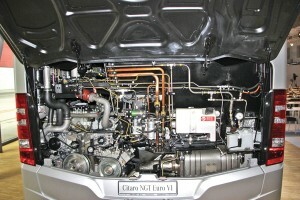 Comparison tests were undertaken with the closest equivalent Euro6 diesel vehicle. MAN, along with Scania, currently supply dedicated gas powered buses to the UK market. To ensure repeatability, the tests were track based at Millbrook and HoribaMira and simulated a variety of road types from urban to motorway. Loadings were consistent between similar vehicle types and a control vehicle was used on each test day to account for any changes in ambient conditions. Portable Emissions Monitoring Systems (PEMS) were used to measure Carbon Monoxide (CO), Carbon Dioxide (CO2), Oxides of Nitrogen (NOx) and Total Hydrocarbons (THC). In addition, a number of further tests were carried out using the chassis dynamometer facility at Millbrook to assess Nitrous Oxide (N2O) emissions. Greenhouse gases (GHG): The results for CO2 emission levels were mixed with dedicated OEM gas vehicles not outperforming the comparative diesel in all classes, the maximum improvement being in the region of 4-8%. There was, however little evidence of Methane Slip in these vehicles, the THC measurement suggesting a negligible impact on total GHG output. The dual fuel converted vehicles showed that the 4-11% benefit in CO2 emissions, when running on gas, was more than accounted for by the level of Methane Slip. This resulted in these vehicles showing overall increases in CO2 equivalent emissions of around 20%. The LPG dual fuel conversion performed better and the report noted that the pass through of unburnt LPG fuel would not impact on a modest 2% overall GHG improvement. Air Quality (AQ): The dedicated OEM gas vehicles demonstrated significantly lower levels of NOx production compared with their diesel comparators with NO2 in particular being less than one third of the diesel level. The improvement was however to a certain extent balanced by an increase in carbon monoxide (CO) production. The dual fuel results were very mixed suggesting that some compromises in the emission treatment process were still necessary in the dual fuel conversion methodology. 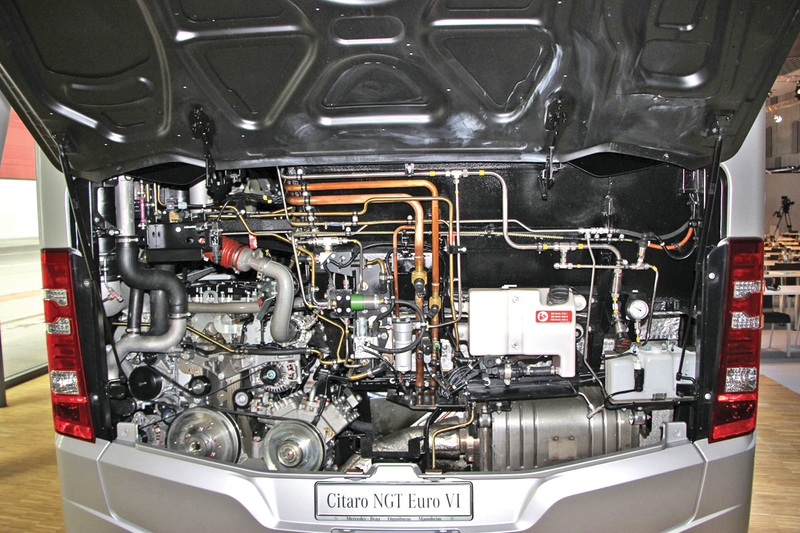 Daimler have a dedicated Euro6 gas engine which is available in the Citaro in Europe. Nitrous Oxide (N2O): Prior to Euro6, the presence of N2O in emissions was considered to be low and inconsequential, thus not being included in any legislated limits or vehicle certification. Work in conjunction with Low Emission Bus (LEB) testing of Euro6 diesel vehicles suggested, however, that in heavy duty diesel applications with SCR emissions treatment, the GHG impact of N2O may not be so insignificant. The limited tests undertaken for this report appear to confirm that levels of N2O from SCR equipped Euro6 diesel vehicles could contribute to an increase in GHG emissions by up to 2%. This compares with practically nil in dedicated gas powered vehicles and is double that of similar non SCR equipped vehicles. Although the figures appear lower than found in the LEB testing, it should be noted that these tests were only carried out on vehicles up to 7.5tonnes. Bio-methane gas from organic waste digesters is the preferred fuel for gas buses in the UK providing near carbon neutrality overall. DfT should continue to support the development of gas infrastructure and gas powered vehicles, particularly dedicated gas, whilst increasing the supply of low carbon/renewable methane as a sustainable transport fuel. DfT should also consider enhancing its support mechanisms for bio-LPG with the potential for GHG savings from dual fuel Diesel/LPG vehicles. DfT should fund further investigations into N2O emissions from Euro6 diesel vehicles. DfT should continue to develop its evidence on GHG and AQ performance of emerging commercial vehicle technologies. The report is based on research that has been funded by the DfT and TfL with support from Scania, Iveco, Gasrec, CALOR, The John Lewis Partnership, Tevva Motors, HoribaMira and Millbrook. Although undertaken on HGVs, the research reinforces the potential for improved environmental performance from dedicated gas engines under heavy duty operating conditions. These engines are shown to suffer little from Methane Slip and are not subject to the production of Nitrous Oxide as a result of the SCR process used by most larger Euro6 diesel engines. Whilst the emission reduction is not at point of use, the overall GHG impact of dedicated gas engined vehicles running on bio-methane gas cannot however be disputed, potentially these approach carbon neutrality.